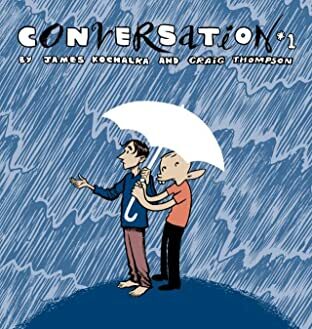 Two of Top Shelf's best cartoonists go head-to-head in this free-wheeling collaboration/argument, discussing art and religion, confronting each other, and playfully confronting God in one of the best comics "jams" ever set to paper. 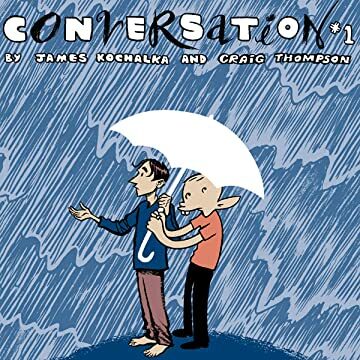 James Kochalka and Craig Thompson draw together, trading the pages back and forth, adding to each others drawings as the conversation turns in unexpected directions. A wild energy forms as their two drawing styles merge together. It's like a comics version of My Dinner with Andre, but with a giant killer octopus!